In this thrilling conclusion to the Skyscraper Throne trilogy, Beth will come face-to-face with the goddess of the streets . . . Perfect for fans of Neil Gaiman's Neverwhere. Ever since Beth and Pen found their way into the hidden corners of London, the presence of its ruthless goddess, Mater Viae, has haunted its twisting streets. Now Mater Viae has returned with deadly consequences. The streets are wracked by convulsions as wires and pipe go into spasm, bunching the city into a crippled new geography; pavements flare to thousand-degree fevers, incinerating pedestrians; and towers fall, their foundations decayed. It seems there is nothing Beth and Pen can do to stop this insane goddess. As the city sickens, so does Beth - her essence now part of this secret London. But when it is revealed that Mater Viae's plans for dominion stretch far beyond the borders of the city, Beth must make a choice: flee, or sacrifice her city in order to save it. 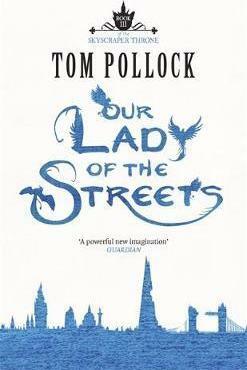 Our Lady of the Street is the third book and thrilling conclusion in The Skyscraper Throne trilogy.